Matteo Salvini, who announced a proposed census of the Roma this week, last year said in an interview that a "street by street" cleaning of Italy was needed. Matteo Salvini has been making near-constant headlines since he became Italy's new interior minister last month. Salvini is the head of the Northern League, a right-wing party that has joined forces with the populist Five Star Movement to form a government, a situation that took weeks to work out after Italy's elections in February. Known to be stridently anti-immigrant, Salvini — who also serves as deputy prime minister — drew international scorn last week by forcing a rescue ship with hundreds of migrants to turn around before it could reach port in Italy. Earlier this week, Salvini announced that there would be a new "census" of the Roma in Italy — and that has people concerned. "I've asked the ministry to prepare a dossier on the Roma question in Italy," Salvini told an Italian television station Monday. After some harsh feedback, he tried to clarify that he wasn't talking about taking digital fingerprints or taking information about individuals. "We are aiming primarily to care for the children who aren't allowed to go to school regularly because they prefer to introduce them to a life of crime. We also want to check how millions of euro that come from European funds are spent," he said in a statement. Roma, formerly called gypsies, are one of the most marginalized communities in Europe. An estimated 180,000 live in Italy, at least half of whom are thought to be stateless, mostly in camps that are set up on the outskirts of big cities. In 2010, several Italian cities launched a crackdown on Roma camps, dismantling them and driving their occupants away. Such actions have been broadly popular with Italians — in a 2008 poll, at least 68% of Italians favored expelling the Roma. This has all drawn attention to video from an interview Salvini gave last year, before he was in government, when he said, "We need a mass cleaning, street by street, neighborhood by neighborhood, piazza by piazza." “We need to be tough because there are entire parts of our cities, entire parts of Italy, that are out of control," he concluded, referring to the supposed effect of migrants in the country — including the Roma. John Oliver cited the video in February ahead of Italy's elections as part of a segment on just how far to the right Salvini's party actually is. The proposed census has drawn scorn inside Italy and out, as has the threat that any Roma discovered to be noncitizens will be deported. Even Luigi Di Maio, the head of the Five Star Movement, said that the census was "unconstitutional." There's also the small problem that a similar proposal from former prime minister Silvio Berlusconi was rejected in an Italian court. 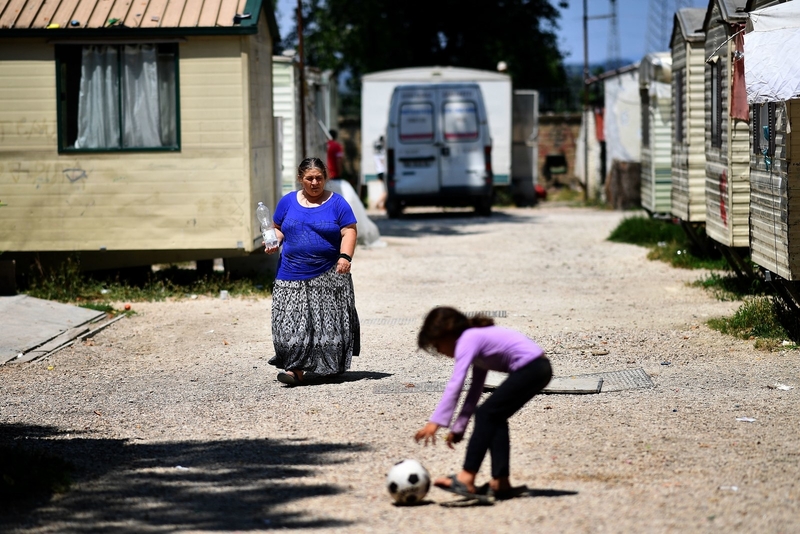 “The interior minister does not seem to know that a census on the basis of ethnicity is not permitted by the law,” Carlo Stasolla, president of the Associazione 21 Luglio, a group that supports the rights of Roma, told Italy's ANSA news agency. Salvini has shrugged off the criticism since the initial backlash — tweeting, "Italians and their security comes first" — and that Roma with Italian citizenship will "unfortunately" be allowed to stay. 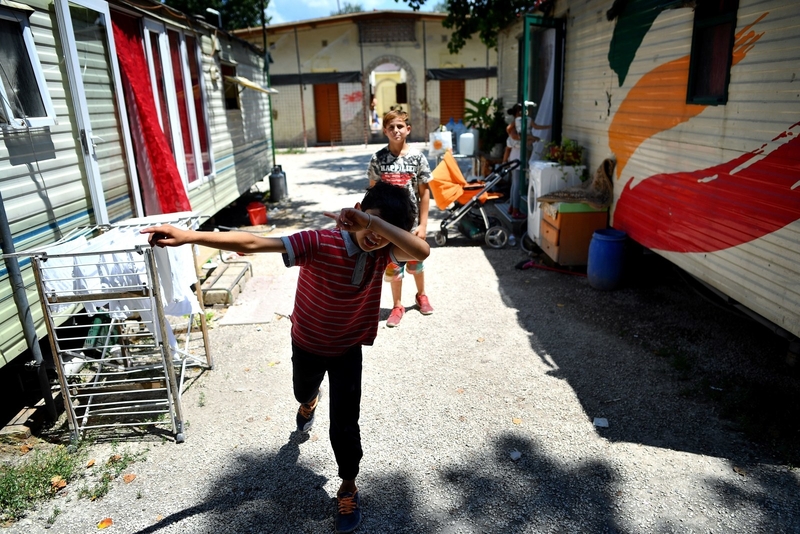 A fellow Northern League politician, Foreign Affairs Undersecretary Guglielmo Picchi, told BBC4 Radio on Wednesday that they are trying to improve the lives of the Roma who mostly subsist "off theft and petty crime." “Our plan is to dismantle camps and integrate them. It’s our duty to check who they are and where they live in order to provide them with social services,” Picchi said. The Italian Ministry of the Interior did not immediately respond to a BuzzFeed News request for comment about the video and whether Salvini still holds those views.